The internet is steadily becoming more involved in everyday life as time goes on. What was once reserved for a privileged minority has become the way that people all over the globe keep in touch with each other as well as gain access to just about anything they could want. As we become more reliant on the Internet for communication, shopping, and research there are many people who are moving their education online as well. 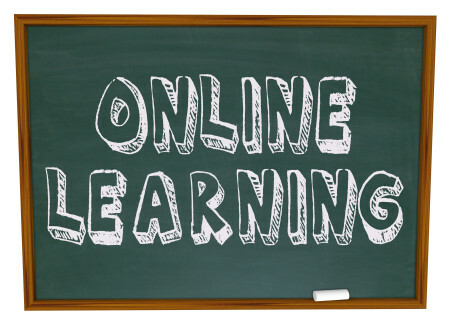 ELearning, or learning through an electronic medium is becoming more popular each year. A major advantage of eLearning is that it allows for a more flexible schedule. Today many students are more than just students. Adults who have full time jobs and even families to care for are trying to go back to school for a degree that will allow them to increase their potential and to be a positive role model for their children. ELearning, especially in classrooms taught on a message board allow these students to study and attend class whenever they have the time with the LMS. Although it may be impossible for a single mother to attend a live seminar at 10AM while her children are up and playing she may be able to watch at 10 that night. Even at three in the morning it would be possible for a busy parent to attend a lesson left on a message board and respond to and questions while the other students and even the teacher sleep. Even the young adults who are out to earn their degree directly after college are finding out that they need to work in order to make ends meet while studying. This is the kind of flexibility that helps make higher education more accessible to more people. Another way that eLearning can be organized is in a series of tutorials. These tutorials cam be video, audio or simply written. Some are interactive while others rely on examples and rely on the learner to practice on their own. These tutorials are often found free online and not always affiliated with an accredited school or degree program. Although they can be extremely helpful they might not count as credit towards an official degree or certification. In addition to this, eLearning is now being brought to our children. There are now public schools available online to children from kindergarten all the way to seniors in high school. These online programs are being taught by board certified teachers and are giving children and young adults the option of receiving a good education from there homes. These are public schools and free to all students in the USA. This is giving the next generation an even greater variety in ways it can learn and grow.